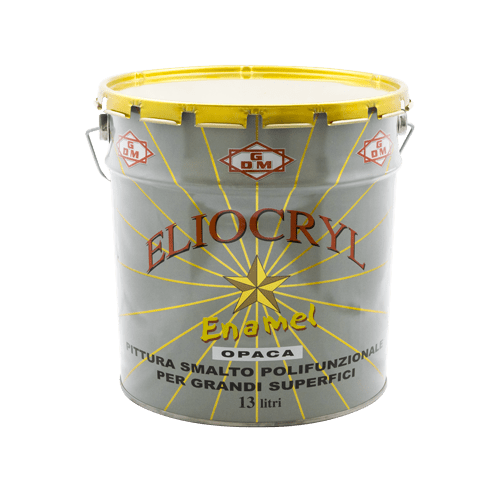 Eliocryl Enamel Opaca - Giuseppe Di Maria S.p.A.
Enamel-based paint acrylic, steinresistant water-dilatable, for applications on large internal and external surfaces. Multifunctional paint: easy to anchor on all types of masonry, plaster, glass, metal bases, with the use of suitable primers. We recommend using a satin and low roller, thus obtaining a smooth and homogeneous surface with a pleasant aesthetic and decorative effect.